MULTIPLE OFFERS! PLEASE SUBMIT HIGHEST & BEST OFFERS BY 4PM MONDAY 11/19. Just steps from Lake Parker this charming 2 bed 1 bath bungalow has all the old charm but with modern updates. The large front yard welcomes you with a darling garden area and mini herb bed. Enter into the bright and spacious living room with wood planked vaulted ceilings and brand new laminate flooring. The kitchen is ready for you to make all kinds of delicious meals for friends and family with easy access to the well-lit dining area. In the master bedroom you can relax, sleep and work if needed. The secondary bedroom is very cheery with several windows and a great view of the private yard. Convenient storage space available in the inside utility room with access the generously sized, fenced back yard. 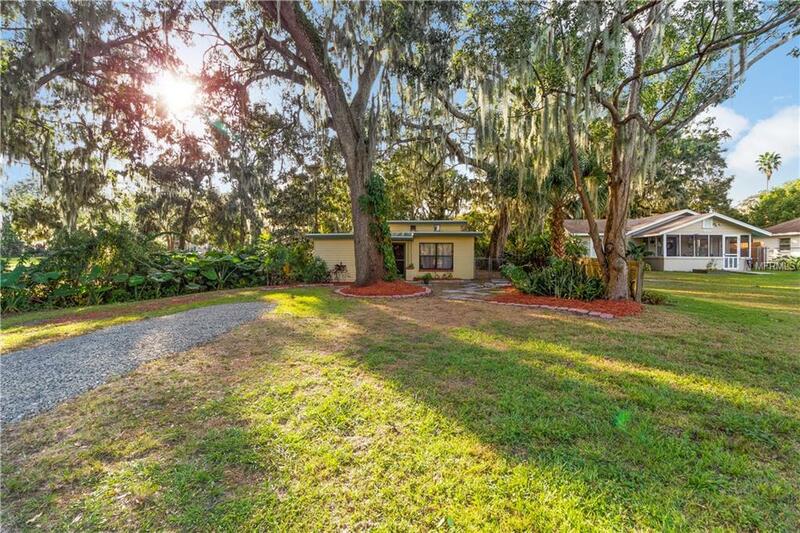 Close to hospital, shopping, parks and Orlando/Tampa theme parks. Additional Lease Restrictions Buyer's Responsibility To Determine Any Lease Restrictions With The Hoa City And County. Pet Restrictions Buyer's Responsibility To Determine Any Pet Restrictions With The Hoa City And County.